In the time I’ve spent in bands, I’ve never encountered bigger issues than those related to personality (myself included). The reason terms like “Lead Singer Disease” (or LSD) were invented is because there are people that fit that stereotype to a tee, and are often more trouble than they’re worth. But there’s an indisputable truth here, and that’s that you can’t have a band without people. You can be a solo artist or a DJ, or an artist that plays to pre-recorded tracks, but that’s not the same as a band. So, if you want to be in a band, you’re going to have to find a way to make it work. You can work together and hate each other’s guts, but you still need to be functioning as a unit at a fundamental level, or the band will fall apart. If you’re serious about the success of your band, you have two choices. You can either develop a long-term mindset, or you can work with people that already have one. It’s really rare for a band to take off overnight. Most famous bands were 10 years in the making when they suddenly became “overnight sensations”. What this says to me is that you’ve got to figure out how to stay in the game. The most obvious way to do that, at least to me, is to develop really good relationships with your band mates, and barring that, finding people you can actually work with. Unfortunately, personality issues can also factor into behavioral issues, in which case you might have a real problem on your hand. But if your band mates are sensible, realistic, and rational, you may be able to reason with them. Set boundaries. Human beings weren’t designed to be walked all over. By the time we’ve been screwed over a couple of times by the same person, we’re generally ready to cut ties with that individual. If you’re having some serious issues with a band mate, try setting boundaries. If they continue to violate them despite previous warnings, it’s time to let them go. Share in the responsibilities. Heads can outgrow their size when they’re under the impression that they’re doing it all, and that the band couldn’t possibly exist without them. It’s time to divvy up tasks so that no one person feels like they are left out, and no one person feels like they are all-important. Both extremes are not good, because no one is that important! Be flexible. Sometimes things that worked in previous relationships don’t necessarily work in new ones. You kind of have to feel things out and get a sense of who everyone is, what they respond to, what motivates them, and so on. 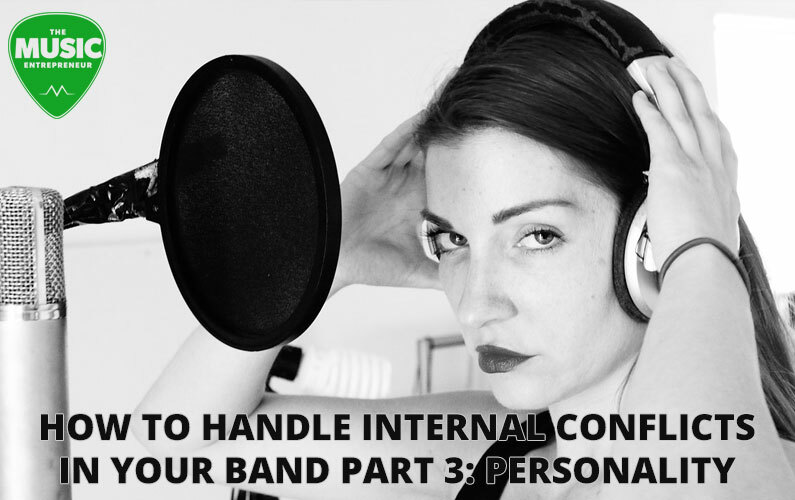 You may need to communicate the same idea to everyone in the band, but how you communicate it to individual members may need to be personalized. Be respectful. Familiarity can breed contempt. It’s unfortunate, but it does happen. As band members, you will be spending a lot of time in the same room(s) together. This is both good and bad. You might learn a direct line to a band mate’s funny bone. Conversely, you will probably learn how to push their buttons too. Don’t lose reverence for those around you. Don’t forget – creative people tend to suffer from a lot of different issues; obsessive compulsive tendencies, anxiety and depression, bipolar disorders, egotism, lack of self-worth, and the list goes on. Try to be discerning of when you need to give grace and when you need to lay down the law. Not every situation calls for understanding, and not every situation calls for chewing someone out.